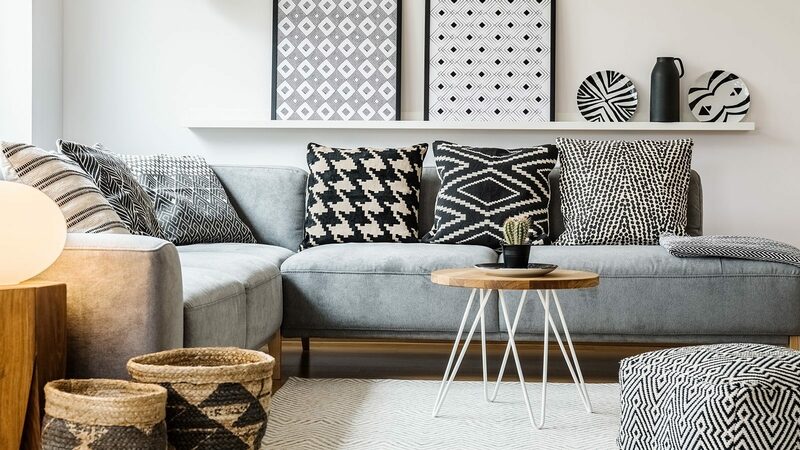 This post is for all of you who are thrilled by vibrant, opulent and exotic cultures and styles like Moroccan. Mediterranean design is very recognizable by its vibrant and colorful appearance. It’s a very bold move to create an exotic Mediterranean kitchen in a more modern and less exotic country. If you want to bring this exotic and bold charm into your kitchen then you need to push the boundaries of what’s ordinary. In this post we have quite a feast for your eyes. Check out this round up of extremely inspiring, refreshing and exotic kitchen designs straight from the shores of the Mediterranean Sea. 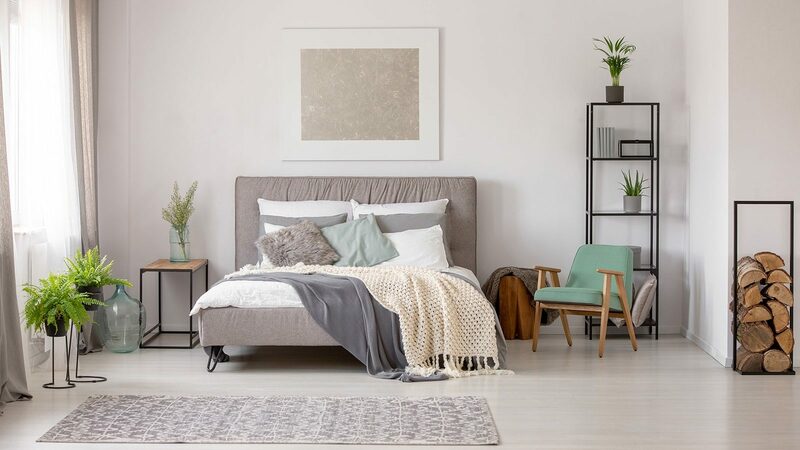 You’ll definitely take away some great ideas for your own home designs. Read on and enjoy! 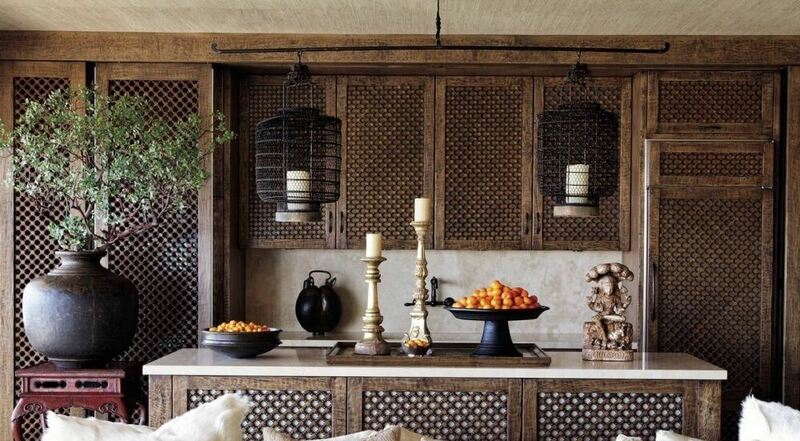 We absolutely love the natural and creamy appearance of this Moroccan inspired kitchen. 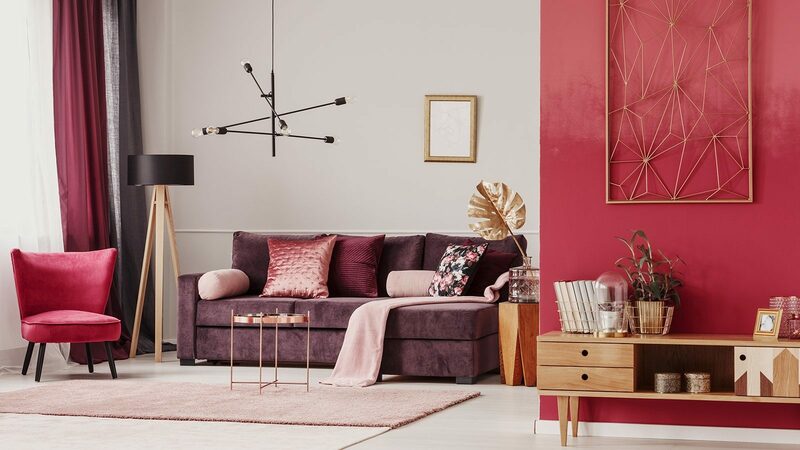 It has a bold texture spectrum and a warm, engaging color scheme. 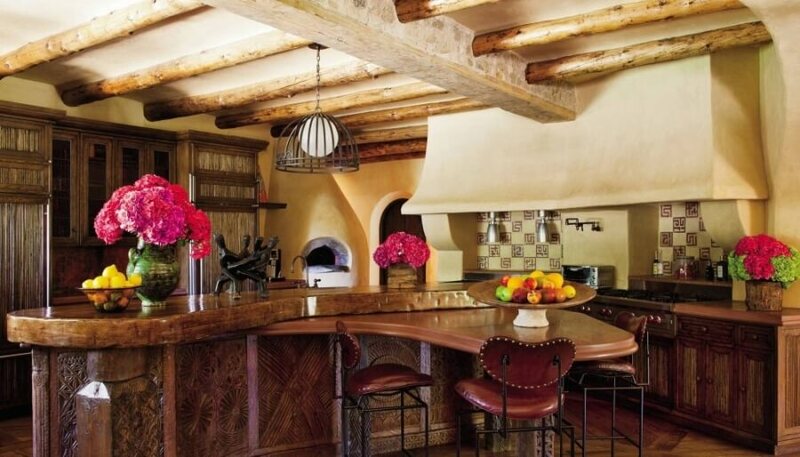 The unfinished wood beams along the ceiling help to create a rustic charm while the large stone vent and oversized kitchen island with its embossed ethnic patterns emphasize the authentic Moroccan ambiance. How delightful is this little kitchen right? It’s just bursting with freshness and a warm rustic charm. The wall tiles along with that blue pattern at the top of the walls add to the vibrancey while the wood island with its crafted bronze legs brings a bold and opulent vibe to this beautiful space. 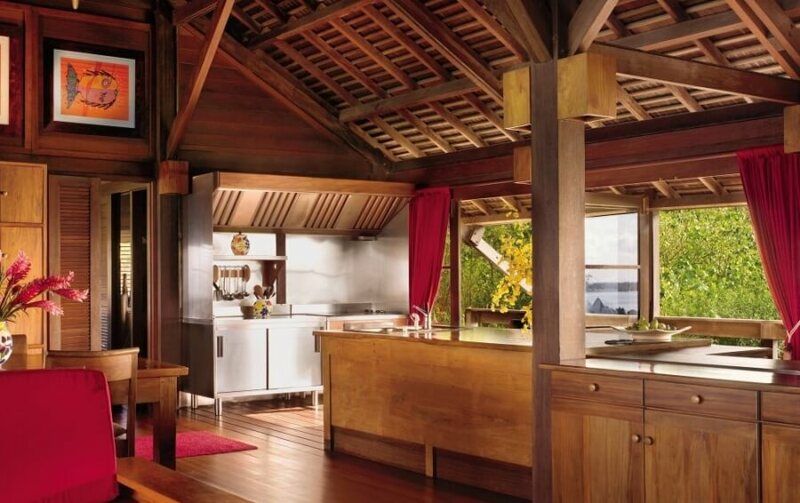 We love the freshness and laid back ambiance of this kitchen with its extremely natural yet exotic feel. 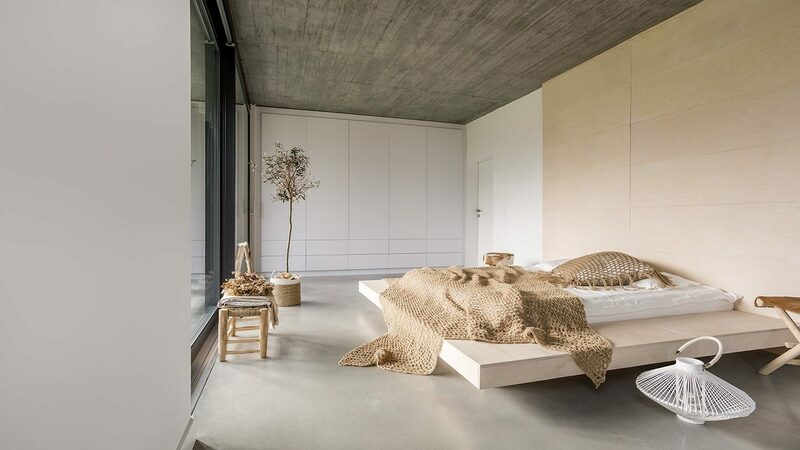 The wood ceiling makes a rustic and natural statement while the wide open windows open up the space making everything feel much more airy and bright. The red curtains, rug and other accents add to a feeling of opulence and make the space much more vibrant. 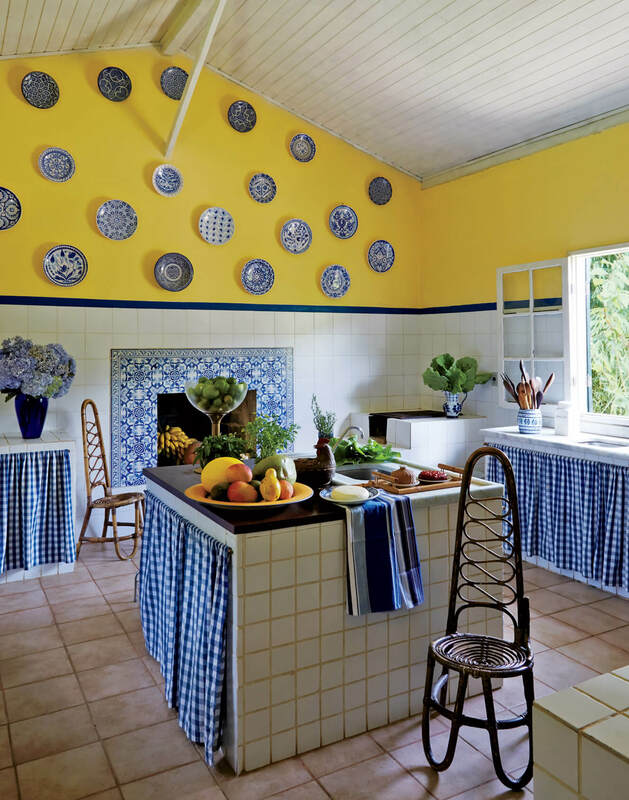 This lovely and sweet kitchen is inspired by Portuguese design. 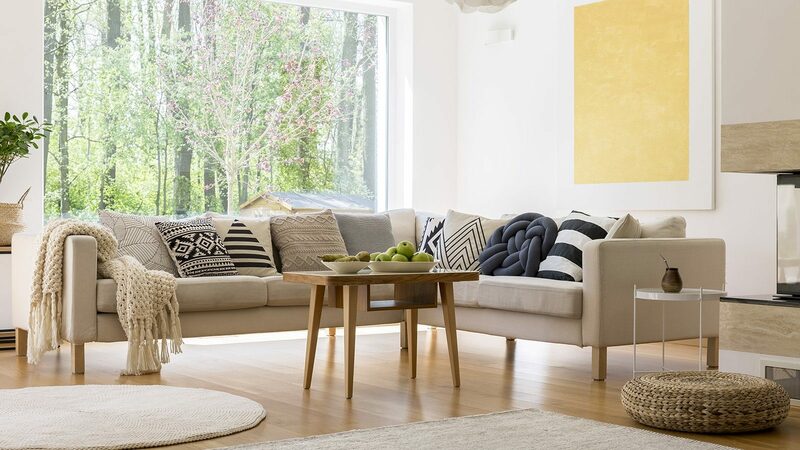 The white, yellow and blue colour scheme creates just the perfect exotic and Mediterranean ambiance. 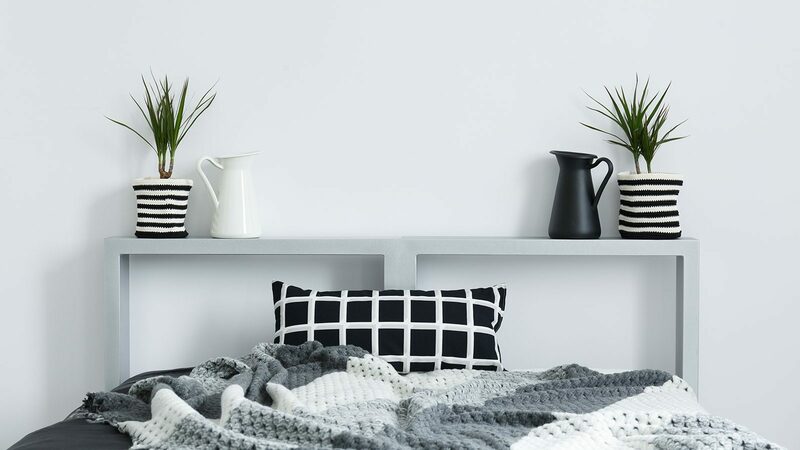 The hanging wall plates brings a bit of a traditional country feel and everything here just feels so refreshing. 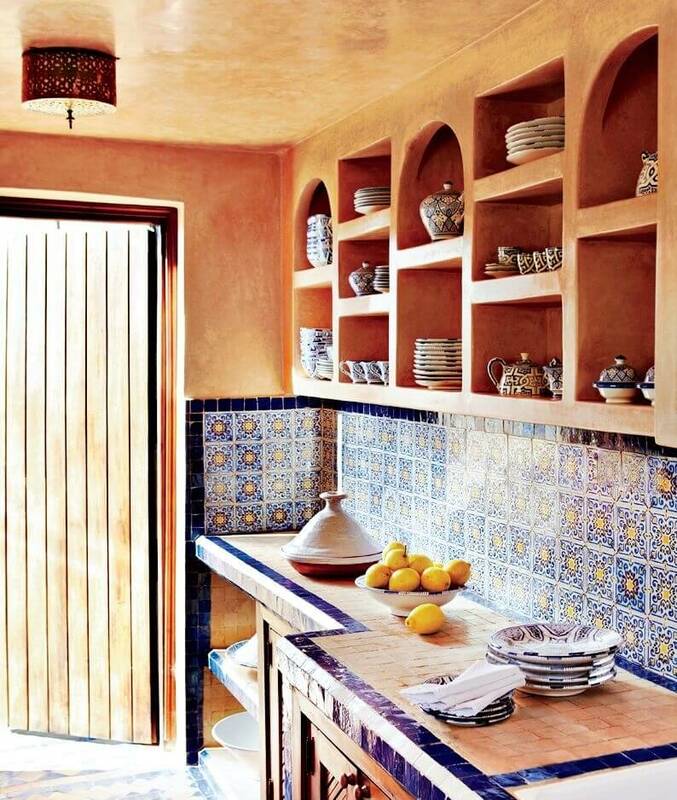 This kitchen looks like it’s right out of Morocco. It’s superbly natural and exotic. The textured kitchen cabinets along with the matching kitchen island unifies everything together while that marble kitchen backsplash makes everything look just a bit more modern. 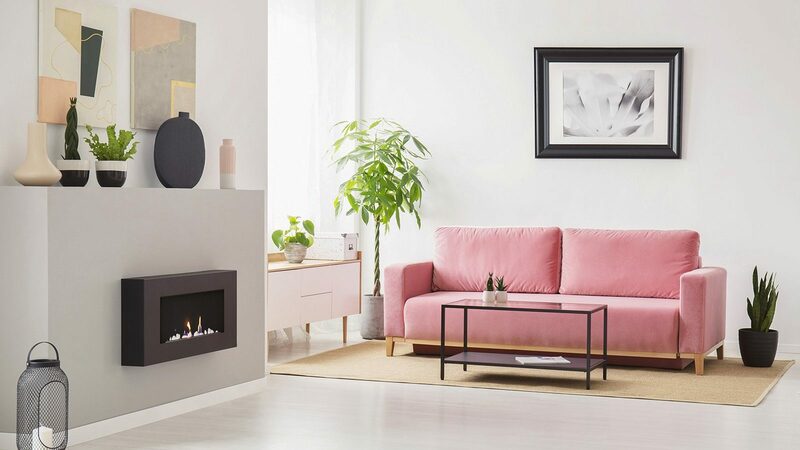 The exotic decorative items also contribute to the overall ambience completing the space. 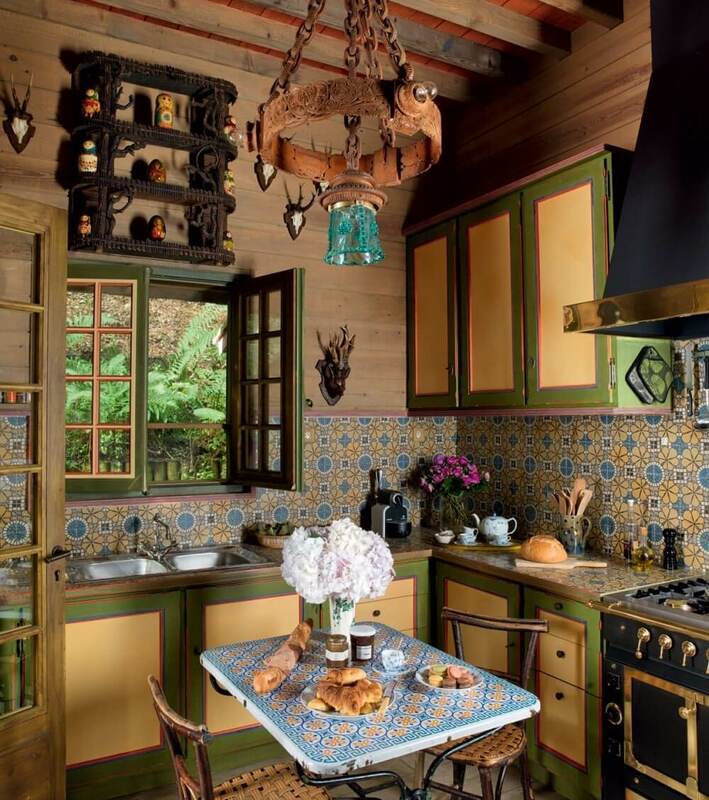 We absolutely love the play of colors and patterns in this small yet adorable kitchen. The bright yellow backsplash creates a cheery and lively foundation for this space. The light oak wood cabinets with their bold textures make everything look just a bit more interesting. 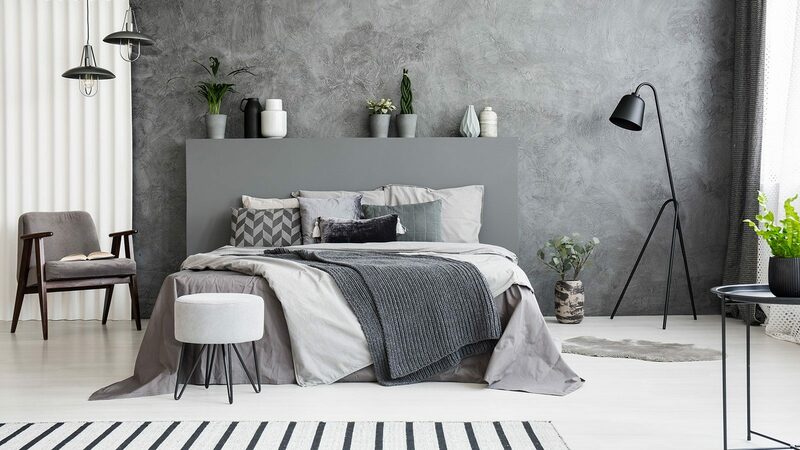 Finally, we certainly have to mention the beautiful ceramic items decorating the space and adding a hint of blue to the overall color scheme. 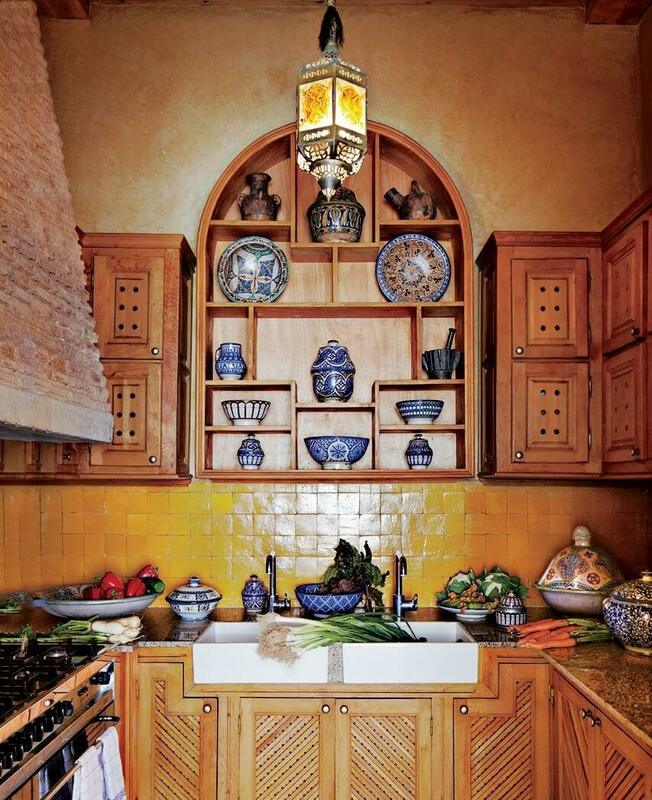 Here’s another amazing little kitchen that looks straight out of Morocco. The natural orange stone wall combined with that traditional tile backsplash brings a lively, opulent and cheery ambiance to this lovely kitchen interior. 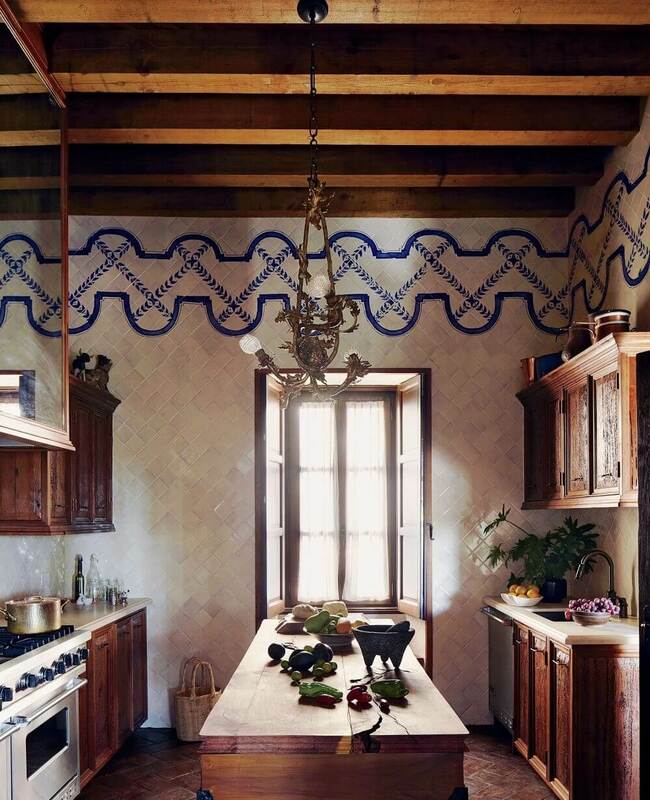 Even though this kitchen has more of an Eastern European look it still incorporates elements of Mediterranean design. 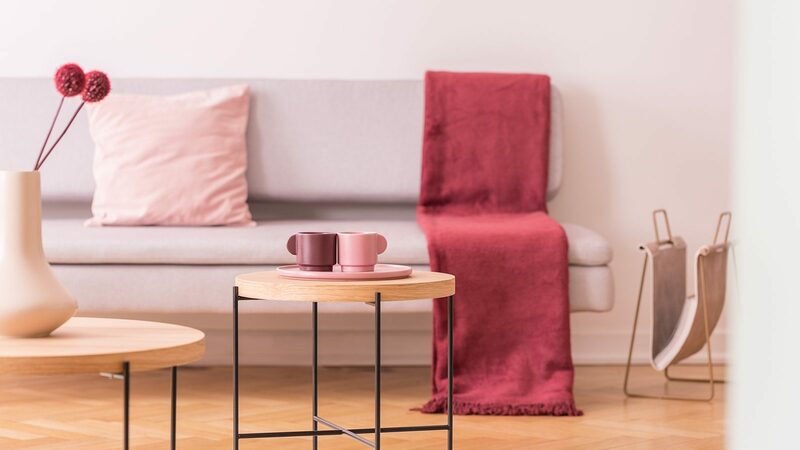 It’s a haven of colors and patterns with a beautiful and sweet ambiance. 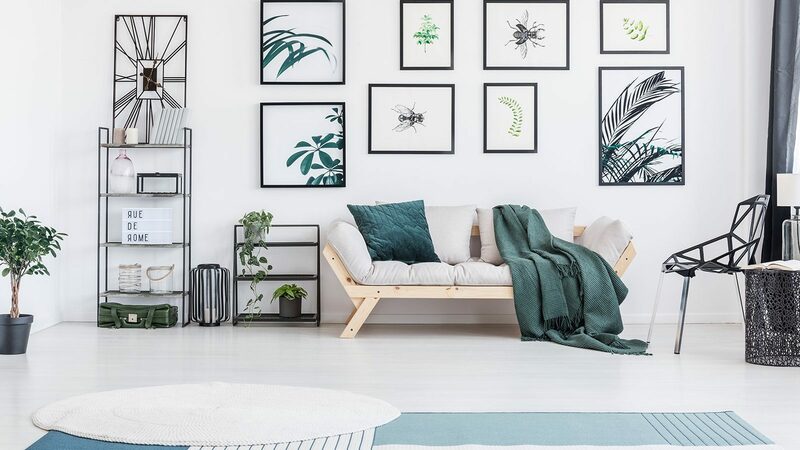 The yellow and green color scheme with it’s pops of blue combined with the natural wood panelling strikes a perfect balance of natural and rustic charm.